College is expensive. No one denies that. But resources exist to help students and their families offset the costs for a quality degree program. This site provides Financial Help For College Students with the latest information on topics ranging from scholarships, school grants, federal and local financial aid, and much more. This site is updated weekly so be sure to bookmark us for quick reference to any information you find useful. The first step for any college-bound student is to complete the Free Application for Federal Student Aid (FAFSA). The FAFSA determines eligibility for federal student aid, and colleges use it to establish amounts of eligibility for many state and federal aid programs. Do not assume that you or your parents' incomes preclude your eligibility for federal financial aid. The FAFSA only assists financial aid offices in determining a student's eligibility. Many other factors drive eligibility for financial aid, including the number of credit hours a student will attend, the number of semesters per academic year, and the program costs for one academic year. After completing the FAFSA, a student should contact the financial aid office of the college of her choice. Establish a relationship with the financial aid representative. Ask if the financial aid office requires additional documents to complete a financial aid request. Also, ask the financial aid representative of scholarships available at the college as well as scholarship opportunities offered by private agencies. Students should research scholarship or grant opportunities on their own. 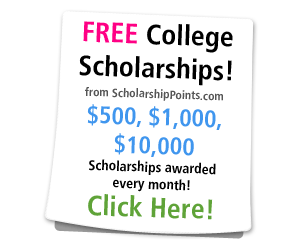 Many free on-line scholarship search engines exist, which match up a student with scholarships or grants. The search engine asks for specific demographic information in order to find the most suitable opportunities available from their databases. A student also should research within her own community, asking local businesses, churches, and philanthropic and fraternal organizations if they offer scholarship opportunities for college students. Students should prepare for the possibility of using student loans. Consider student loans as a last-resort method to meet the gap between college costs and financial aid awarded. Students may want to contact the financial aid office and local organizations to find low or no interest loans available. Otherwise, federal Stafford or Direct student loans represent the next option. The FAFSA assists with determining eligibility for federal student loans. Also, the student's year in school determines the maximum amount of federal student loans available each academic year. If federal student loans do not meet tuition costs, the next step would be for the student's parent to apply for a Parent PLUS loan. Many banks also offer alternative or private education loans. Alternative loans should be seen as the last resort of student loans, after federal and Parent PLUS loans have been exhausted. Many of these loans have variable interest rates tied with key economic indicators such as the Wall Street Journal Prime Rate. Low rates can skyrocket to high interest rates during repayment, depending on financial changes within the economy. Paying for a college education can be overwhelming. However, if a student researches the plethora of opportunities available and remains diligent in her search, she can reap the rewards of her academic efforts and worry less about her financial obligations.